Several workshops and special workshops will take place at WIRM. The oral presentations will last 10 minutes and will be selected from the submitted abstracts by approx. mid-January. Every Workshop Speaker can also mount a poster in the evening. There won’t be a poster walk within the workshop posters. "BioLegend Best Workshop Presentation Awards" will be distributed to one best presenter of each workshop. The winners of the awards (12x EUR 330.-) will be selected by the chairs right after each workshop and honored at the award ceremony the day after. As at other Davos meetings, we will reconvene in the evenings for poster sessions with buffet dinner in a relaxed and stimulatory atmosphere giving young researchers the opportunity to meet senior scientists. Poster presenters will be selected from the submitted abstracts in approx. February. The size of the poster has to be DIN-format A0 vertical (width 84,1 x height 118,9 cm) or not more than 95 x 120 cm. Adhesive poster strips will be provided at the registration desk by the organizer. Poster presenters are requested to display their posters at 10:00 the latest at the day of presentation and to remove them at the end of the session approximately at 23:00 the same evening. 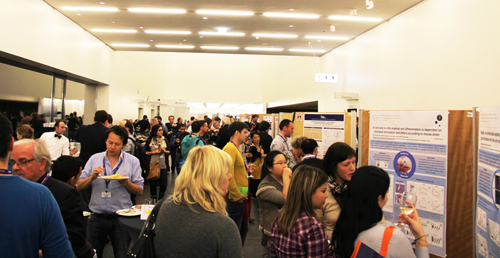 In order to increase scientific discussions, a poster walk will take place at 19:30 of each poster session. Selected chairpersons and poster presenters will meet in front of the first poster of their session in time. Each poster should be explained within two minutes by the poster presenter, which will leave one minute for discussion. PDF format is required, otherwise they will charge CHF 20.00 in addition. Please let them know, that you order for the WIRM congress. They will deliver your poster on 5 April 2019 to the Congress Centre. Order Deadline is 3 April 2019. No payment - no poster! At the daily award ceremonies, the winners of each poster session will be selected by the poster chairs and the organizing committee for the best poster presentation prize, which is one year free subscription to a top journal.